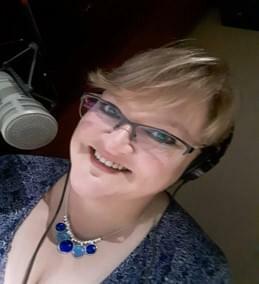 JOYCE JEFFERSON: (Weekdays 7pm-12am) This single mom landed her first radio job while working at a pizza parlor. She and her twin teenage daughters have three dogs, three cats, two leopard geckos, a chinchilla and a fish. Joyce loves studying clouds and “weather watching.” She also sings and pulls out her guitar to entertain friends now and then. By the way, she still loves pizza.